How old is Emmett Brown in 1985? In Back to the Future Doctor Emmett Brown is seen in 1955 and 1985 as appearing roughly the same age. While there are people that age very gracefully like this (William Shatner for example), this makes it hard to guess their age. As I do not recall Emmett ever revealing his age or date of birth in the movies, and wikia is unhelpful (it lists three different birth years), I am left to wonder if Emmett's age has ever been definitively established. There is apparently a video game that came out that had Marty travelling to 1931 and meeting with a teenage Emmett Brown. Without further information that puts his DOB from 1912 to 1918, making him between 67 and 73 years old in 1985. Before I did the research that found out about the video game I was guessing that his age was 70 in 1985. This is just simple supposition based on the fact that at the end of the first movie, he travels 30 years into the future (which would according to my guess make him exactly 100 years old). Again this was just guessing based on knowledge of the character and the idea that I believe it would personally appeal to anyone to travel to a time when they turned 100 years old. If the video game is canon, then this guess would fit within canon as well, making him 16 years old (a teenager) during the video game. 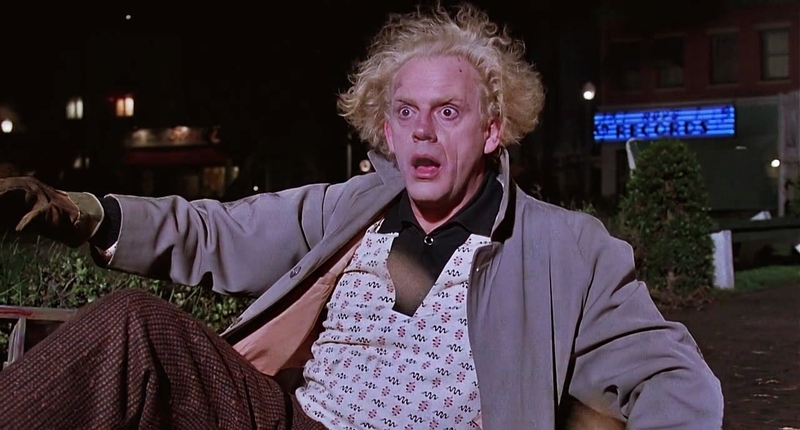 This would also make him only 40 years old during the events that take place in 1955, which seems to make him slightly younger than his appearances during that time, however Christopher Lloyd was born in 1938, making him only 47 when the first movie was released. I haven't personally played the video game, so I am unsure as to whether his age is more definitively pinpointed in canon, so the most I can definitively say is between 67 and 73 years old during 1985. I would submit that I find it likely that his true age in 1985 was 70 years old. Emmett Brown is 65 in October 1985 according to the Back to the future novelisation by George Gipe, which is based on both the fourth script draft and the first film by Zemeckis and Gale, so I would consider that to be most accurate. At sixty-five, he was one of the nation's most talented and most unheralded inventors. In fact, no one except Marty McFly even knew of his accomplishments, but that didn't matter. Soon all that would change. His lifetime of struggle, of being the recipient of ridicule, would suddenly turn golden. Not the answer you're looking for? Browse other questions tagged back-to-the-future or ask your own question. 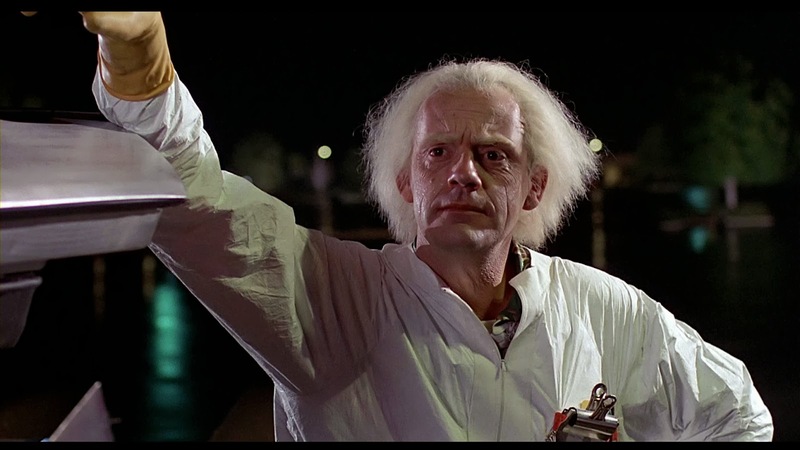 Where did Doc Brown get plutonium from? Why did Doc Brown choose the Delorean DMC-12 as his first time traveling vehicle? What is the basis for Doc Brown and Marty McFly's friendship? Why does Doc Brown have an enormous amplifier in his house? Was Doc Brown about to break his own rules?